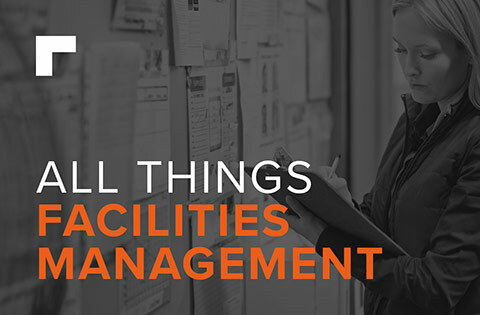 Replacing the floor of any facility can be a costly business, both in financial terms and due to lost production time. 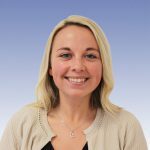 Time is therefore, very definitely, of the essence and the reason fast turnaround resin floors are the ‘go to’ systems to avoid weeks and months of problematic downtime whilst a floor is curing. 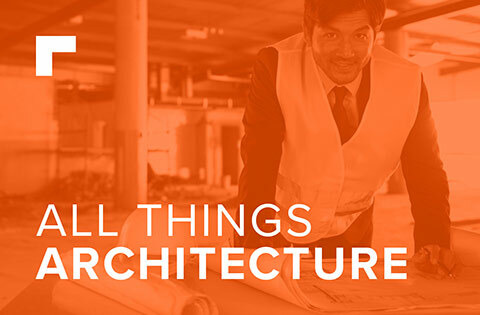 For many industries operating 24/7, such as hospitals, food processing facilities, transport infrastructure and stadiums, installation time is key and fast curing resin systems provide the perfect solution, allowing production to keep rolling and delivering hard-wearing and easy to maintain surfaces. With time efficiency in mind, let’s take a look at a type of floor that performs well in this category – methyl methacrylate (MMA) resin floors. MMA flooring offers clients a wide range of advantages when compared to alternative hard floor covering materials such as ceramic tiles, vinyls and natural stones as well as polyurethane and epoxy resin floor systems. The greatest advantage of MMA flooring is the material’s speed of installation and its rapid rate of cure. A special catalyst is included within the formulation of MMA floors that means that it can cure in a matter of hours. 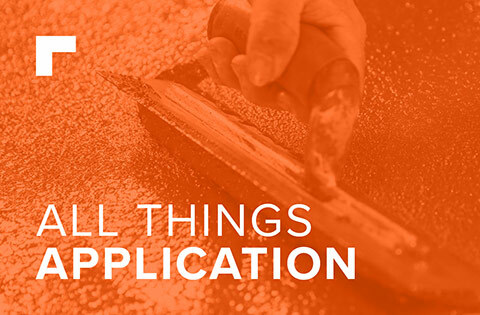 Unlike labour intensive trowel applied resin systems, MMA flooring can be flow applied, allowing large areas to be installed at a significantly faster rate whilst at the same time ensuring a quality finish free of trowel marks. 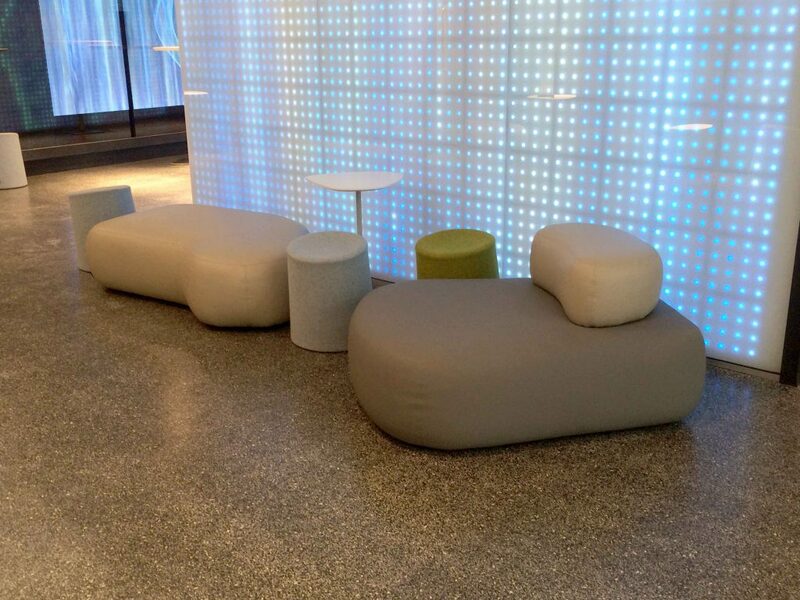 Designed for a range of commercial and industrial environments, this hard-wearing floor topping is not only fast curing but can be created with decorative, colour stable quartz granules set in a clear resin binder, resulting in high performance flooring with attractive aesthetics and rapid installation times minimising any downtime or operational loss. Impressively, you can expect to see a Flowfast Quartz floor achieve a full cure within only two hours. For many clients, the prospect of overhauling an existing floor finish within a live trading environment or to a tight deadline can be a daunting prospect. We’ve selected two projects that installed MMA flooring systems to ensure a speedy turnaround to show you how it can be done with minimal aggravation. 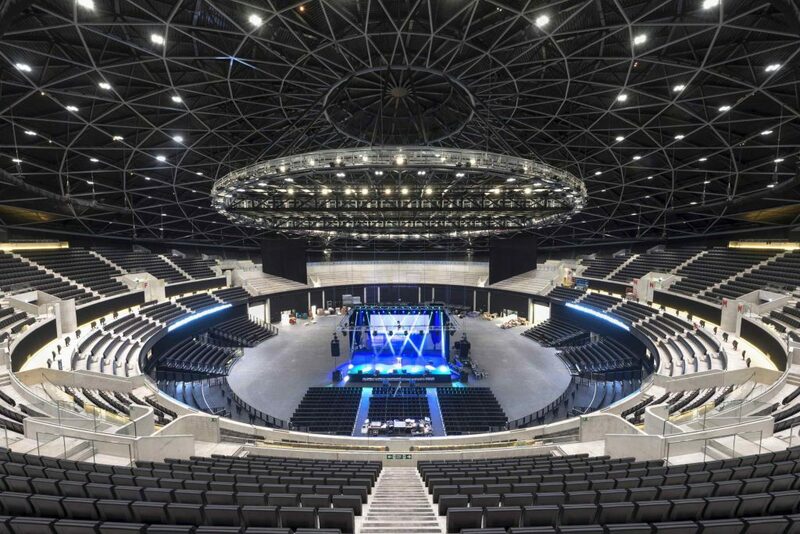 Commissioned for the grand opening of Glasgow’s SSE Hydro arena in 2013, 9000m2 of Flowfast Quartz flooring was installed in the 13,000 capacity venue. Specifically selected for suitability in areas subject to heavy footfall and its hard-wearing, fast curing properties, the speedy application time was essential to allow follow on work to begin on the day the floor was laid, preventing costly delays to high-profile concerts and sporting events already booked. 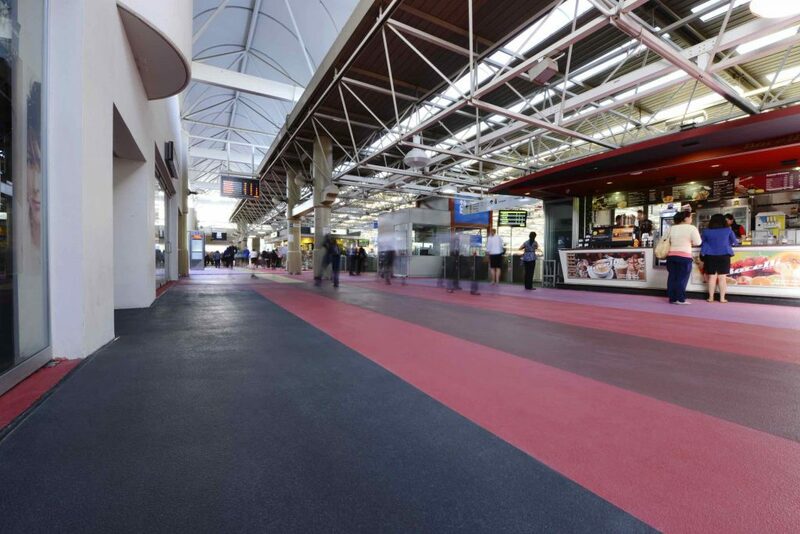 Perth City Railway Station had its cracked and unsightly upper level flooring completely transformed with a walk–on work of art, that not only looked outstanding but was also able to withstand heavy footfall moving over its surface. Replacing the original tiles that had cracked after coping with 60,000 daily commuters, the site required a hardwearing surface that incorporated both non-slip and highly decorative finishes. As this range is able to withstand strains and scratches, as well as being slip resistant and easy to clean – it was the ideal system for such a public environment. To ensure minimal disruption to commuters, the chosen flooring system needed to be rapidly installed overnight. 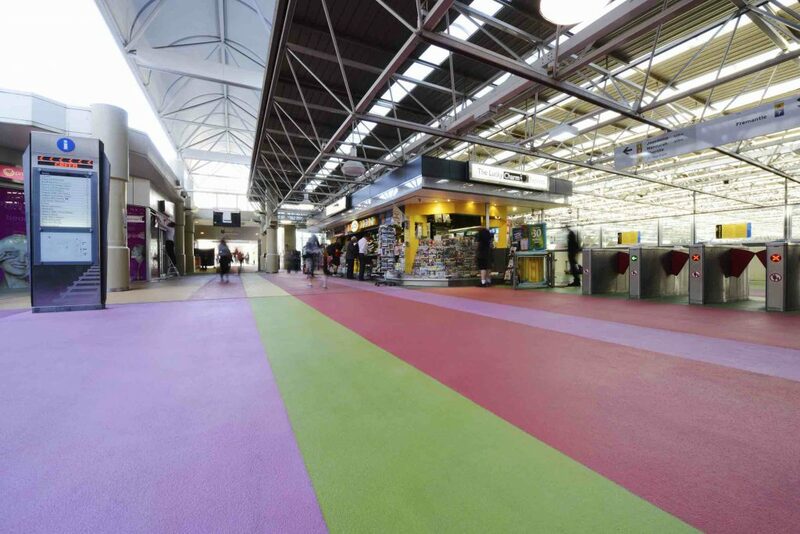 In order to achieve this, architects used 2,660m2 of Flowfast Quartz Scatter in a range of bespoke, vibrant colours. The fast curing methyl methacrylate formulation meant that the floors could be fully cured in as little as one hour! 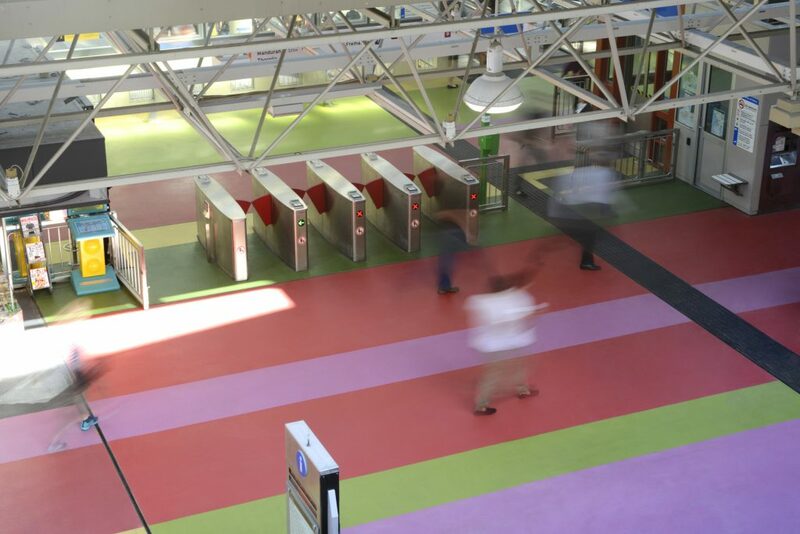 As a result, the station had a completely new floor within 24 hours and commuters were able to enjoy the artistic surface, designed to mirror the oil painting technique of under painting, using complementary colours to enrich the depth of the floors aesthetics. Against the clock, MMA flooring is hard to beat! Ready to use just two hours after application, the fast track flooring concept allows clients to regain full use of their environment under a quick turn around and is suitable for use in retail, commercial, hospitality and stadia sectors as well as mechanical, chemical and electronic goods industries. Interested to see how this system is installed? 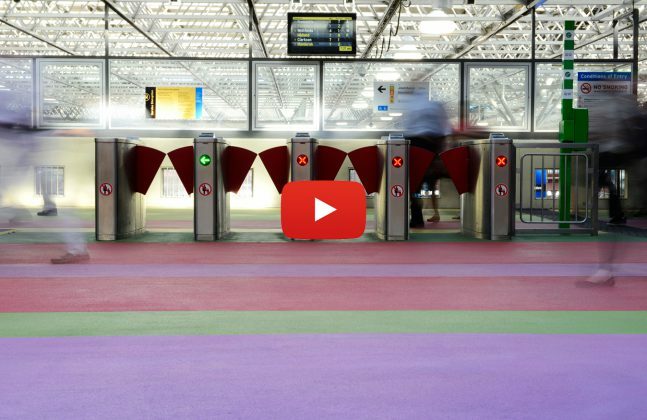 Watch this step-by-step installation of Flowfast Quartz Scatter at the City of Perth’s Train Station. 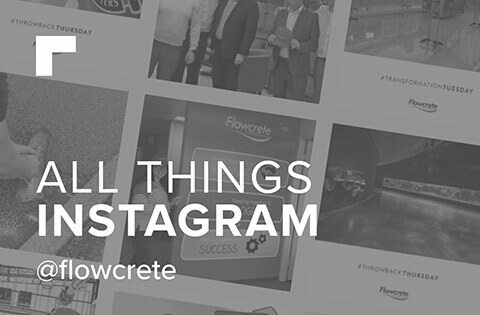 Kate Hassall is the Social Media Executive at the global resin flooring manufacturer Flowcrete Group Ltd. Kate's role includes creating press releases, blogs, and case studies as well as monitor, manage and populate social media platforms to encourage growth and marketing messages.